Hurry in to Sewickley BMW for exceptional offers. I went in to check out a car. I walked out with a beauty.. Everyone who works there was so welcoming and friendly as well as knowledgable. Gregg, Chuck & his team made our X7 buying experience one of the best ever! They spent all the time we needed to help us get the best deal on a vehicle suited to our needs. Everything was transparent & clear. No car salesman approach. We’ve purchased many cars. This was by far our best experience! We wholeheartedly recommend the Sewickly Car Store! PS. The service department folks are great! One reason we stick with them! Greg was excellent and everything went just as planned. I love the vehicle and look forward to leasing many more. His service and support were great! Gregg did a phenomenal job in assisting me with the lease of my new vehicle. The entire team was courteous and thorough in reviewing the available options and were quick to answer any questions that I had. Price negotiation was smooth and transparent with no surprises. Chuck France was a pleasure to deal with. I highly recommend Sewickley BMW to anyone in the market for a new vehicle! Gregg did a phenomenal job in assisting me with the lease of my new vehicle. The entire team was courteous and thorough in reviewing the available options and were quick to answer and questions that I had. Price negotiation was smooth and transparent with no surprises. Chuck France was a pleasure to deal with. 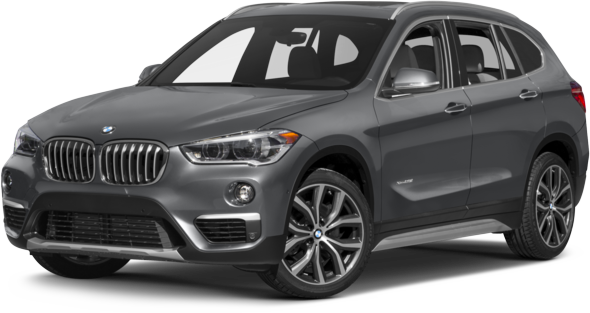 I highly recommend Sewickley BMW to anyone in the market for a new vehicle! Thanks for doing a great jiob and getting me back on the road so quickly. I was able to work in the lounge while I waited. thank you. Scott Ryan is the best ! He always gets and my family best deals on cars and makes the process of buying a car fun and easy! Every time I take my vehicle to Sewickley BMW the employees are always courteous from the time I walk into the dealership until the time I leave . Gregg and the team at BMW made the process of getting a new car easy. From the trade in details to financing information, the process was easy and I will be coming back in the future. Test drive to delivery of a custom built car in under a month - hard to beat that. Gregg took the time to extensively research a fair trade in for a car that didn't have many comparables. Gregg also worked with me on understanding the different packages available to ensure I was riding safely and comfortably. This is our 2nd lease with Sewickley BMW and it won't be the last. We returned because we were so well treated during our 1st lease and that has continued as we moved into our current one. Over the past week we worked with Jon Affeltranger, our Client Advisor, and he was absolutely 1st rate. He was very friendly and knowledgeable, and helped us secure a very good deal on a 2019 X1. The rest of the staff has also been great to work with, especially Andres Ruano in Finance. This is a 5 star dealership from top to bottom. We recommend it without hesitation. 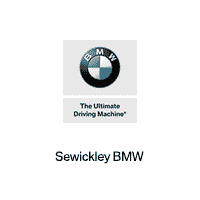 Sewickley BMW in Sewickley, PA treats the needs of each individual customer with paramount concern. We know that you have high expectations, and as a car dealer we enjoy the challenge of meeting and exceeding those standards each and every time. Allow us to demonstrate our commitment to excellence! Our experienced sales staff is eager to share its knowledge and enthusiasm with you. We encourage you to browse our online inventory, schedule a test drive and investigate financing options. You can also request more information about a vehicle using our online form or by calling (412) 741-6400. Our commitment to our customers continues well beyond the date of purchase. We also have a professional team of technicians on hand with the skills and equipment to handle all manner of maintenance and repairs, as well as a full stock of authentic parts. Make your way to Sewickley BMW at 526 Ohio River Blvd Suite B, Sewickley, PA 15143 today for quality vehicles, a friendly team, and professional service at every step of the way. We look forward to serving you!